Blog - DownloadMSOffice.com is Your Software as a Gift Santa! DownloadMSOffice.com is Your Software as a Gift Santa! Let us be your Santa Claus for this joyous season of the year as we present special reasons to buy software as a gift for the holidays. 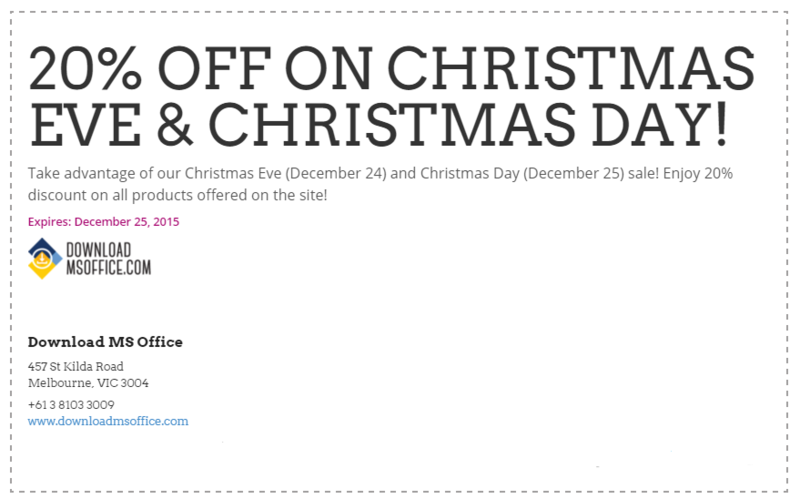 Enjoy 20% off on all available software* for Christmas Eve (December 24) and Christmas day (December 25). 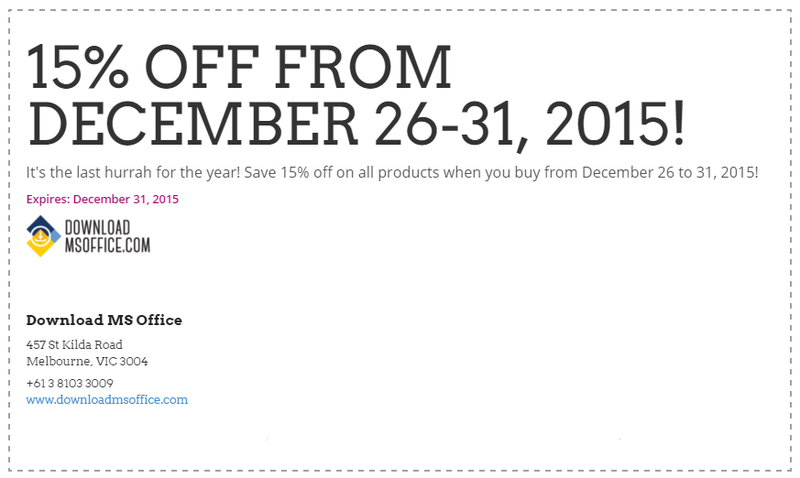 You can also avail of 15% discount on all products offered from December 26 to 31. The discount is applicable to all products! And I mean all products! No codes, no coupons needed! Just buy and lo! Discount is automatically applied! You won’t have to join the holiday rush and be stuck in traffic (commuting or driving) and in a traffic of shoppers bumping, shoving, and pushing each other out! You can shop right at the comfort of your home or office through the Internet. Stay tuned for new and exciting products and brands as well. Gift wrappers are not needed. We will wrap your gift instantly. After purchasing and verifying your purchase through an email confirmation, we will send your product key within hours or minutes. Bookmark www.downloadmsoffice.com on your browser, schedule our event on your calendar, and buy software as a gift!